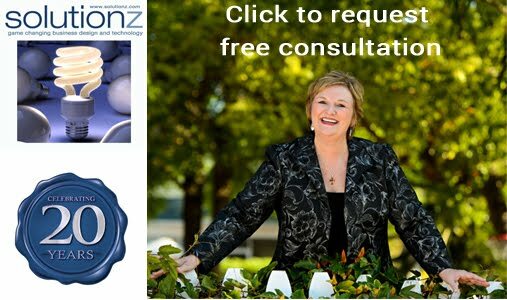 Solutionz by Chicke Fitzgerald : FutureThink: How To Think Clearly in a Time of Change- an interview with Edie Weiner on EGG Live! 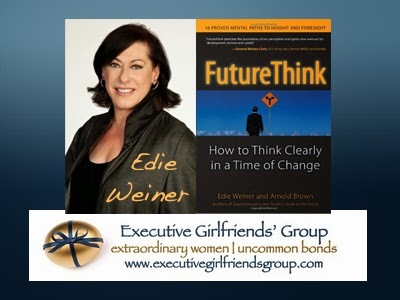 FutureThink: How To Think Clearly in a Time of Change- an interview with Edie Weiner on EGG Live! This on demand audio series is a part of the Executive Girlfriends Group Vignette Series. Chicke Fitzgerald interviews Futurist, Edie Weiner. The original live interview was 9/7/12. This episode is #31 of all time out of the top 50 shows on Solutionz Live! 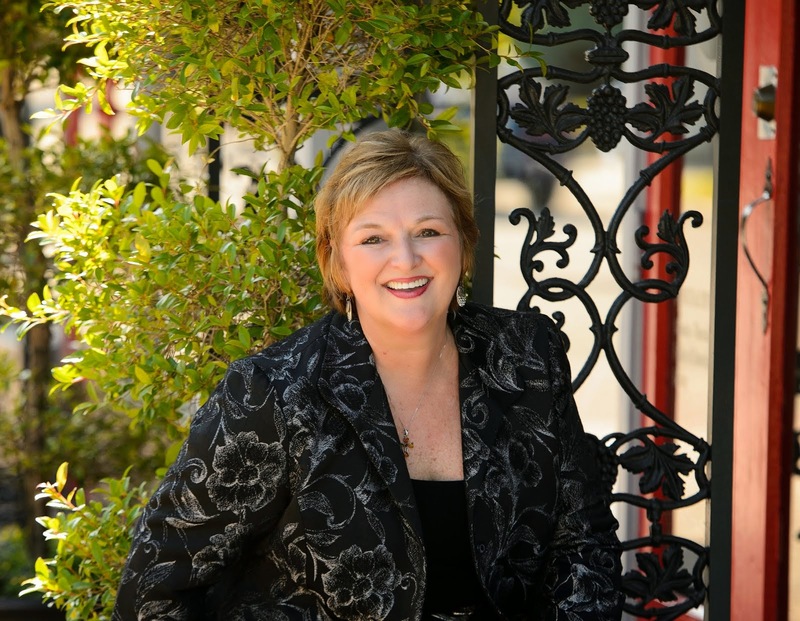 Edie Weiner is president of Weiner Edrich Brown, Inc., a leading futurist consultancy based in New York City. In FutureThink, two leading futurists reveal the breakthrough thinking techniques they've developed to liberate the mind from its old assumptions, and sensitize it to the earliest signals of change. Edie Weiner and Arnold Brown show how to overcome both personal and institutional biases, to see the big picture. Learn how to recognize when trends aren't linear, and when tomorrow won't be 'just like today'. The authors show how a football game can help clarify priorities in attracting and retaining customers; how the history of railroads can put the Internet into perspective; how the 'Law of Large Numbers' helps one recognize the drivers behind such powerful forces as deviancy and terrorism; and much more. Edie Weiner has 30 years experience in issues analysis and strategic planning, and was the youngest outside woman elected to the Board of a major financial institution. She is a world-renowned futurist and acknowledged as one of the most influential practitioners of social, technological, political and economic intelligence gathering.